In preparation for Halloween, a day of the year which I rather dislike, I figured I’d at least try to get into the spirit and write a themed article. After all, I am a survival horror junkie so it’s not difficult to come up with something spooky. As many of you know, the survival horror genre is one of my favorite, if not my number one favorite, genres when it comes to video games. It’s somewhat of an oddity considering I don’t care much for horror on the silver screen or elsewhere. There is something about a terrifying video game that gets the blood pumping, keeps your senses heightened and focuses you. These are feelings I like having when playing a video game, and I suppose that’s why this genre appeals to me so much. The most prominent and important element of survival horror is atmosphere as it creates the backdrop for literally everything else in the game. Good gameplay, scary enemies and survival techniques mean jack squat if the atmosphere is lackluster. What exactly is atmosphere though? The dictionary definition (at least the one that isn’t about the out planet) states that atmosphere is “the pervading tone or mood of a place, setting or work of art.” This is the feeling a game has to offer, the tone it sets, the mood it cultivates. A good atmosphere is key to a good survival horror game, if you want to scare the players – set the mood via proper atmosphere. Take the recent P.T. 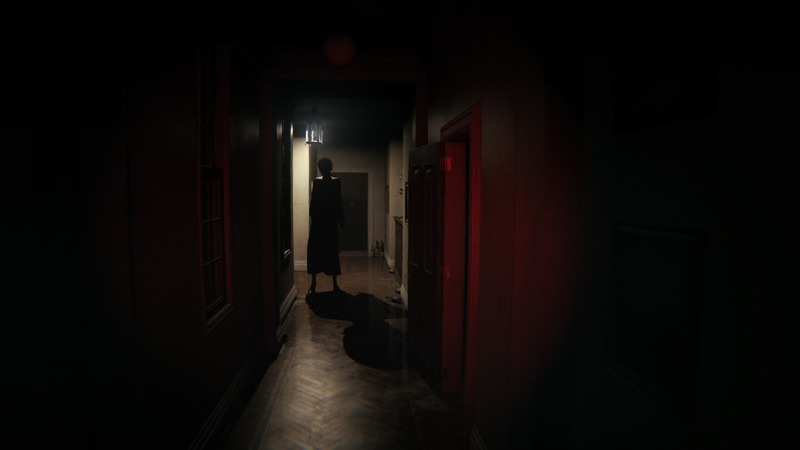 Demo (Silent Hills) for example; it was just a hallway, but damn was that atmosphere intensely horrifying. Just being in the hallway, standing still, made me feel anxious. What was going to happen when I turned the corner this time? What was that noise? WHAT IS HAPPENING OH MY GOSH!? Sorry, I got a little carried away right there but you get the point. 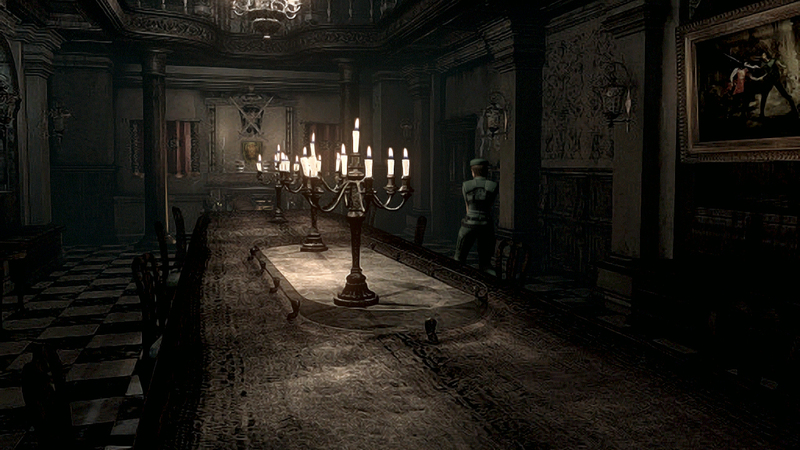 Examples of good atmospheres for a horror setting can be found in series such as Silent Hill and Resident Evil (the early games, at least). One of my favorite games is Outlast and that game features a brilliant atmosphere; everyone is afraid of dark, creepy, abandoned mental hospitals full of things trying to kill you and intensity around every corner. A bad atmosphere is any atmosphere than does nothing for the game, no specific tone or mood is set or it’s simply not enough of a tone/mood to cultivate the proper fear in the consumer, making the game as a whole a bit lame. Too many puzzles take away from the game, especially if they are all extremely challenging. It gets annoying when you are pushed into solving puzzles for 90% of a game, this isn’t Portal. Challenging puzzles in any quantity need to be challenging enough to present a bit of a struggle yet easy enough to figure out at some point. I hate puzzles that are way too hard and make you just want to rage quit rather than solve the puzzle and continue the game. Not enough puzzles can make the whole puzzle scheme feel pointless. I’m fine with no puzzles at all, but if they are added they should feel like part of the game on a regular basis and not just some annoying thing you have to do once or twice. Puzzles that never present any kind of challenge just get in the way. Sure, they are easy, but why do I even have to do them if they are so easy and pointless? As you can see, I’m pretty persnickety about my puzzles. When it comes down to it I wont complain too much if my standards aren’t met, but I think the best games have a puzzle system like I described: The right amount of puzzles which present a proper challenge, but don’t overwhelm the player or cause interest to be lost (in a nutshell). 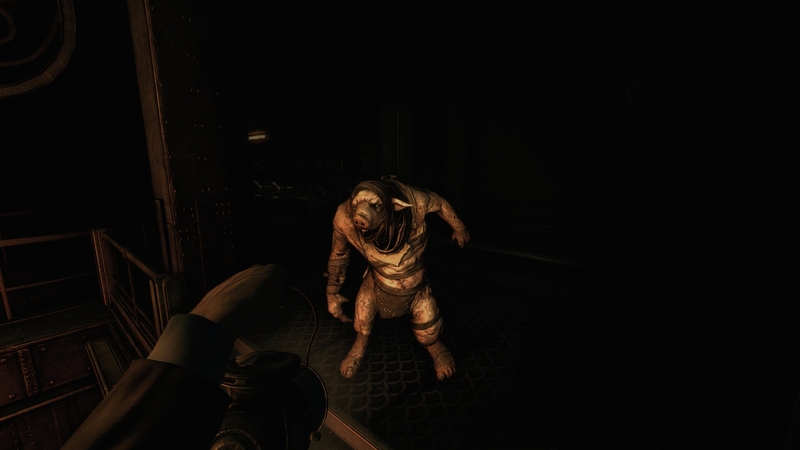 Monsters can make or break any survival horror game. They are extremely important for various reasons. First, they need to be outlandish yet believable. A monster should always be something out of a nightmare and to do that they need to be realistic in the sense that they aren’t completely ridiculous. A ridiculous monster can be one that is simply non-threatening yet the game seems to want you to think it is or one that is just not believable in any sense (ie: this monster makes you think “you shouldn’t even be here, what is your point?”). Second, monsters need to be scary; you should fear for your digital life when a monster comes on the screen. 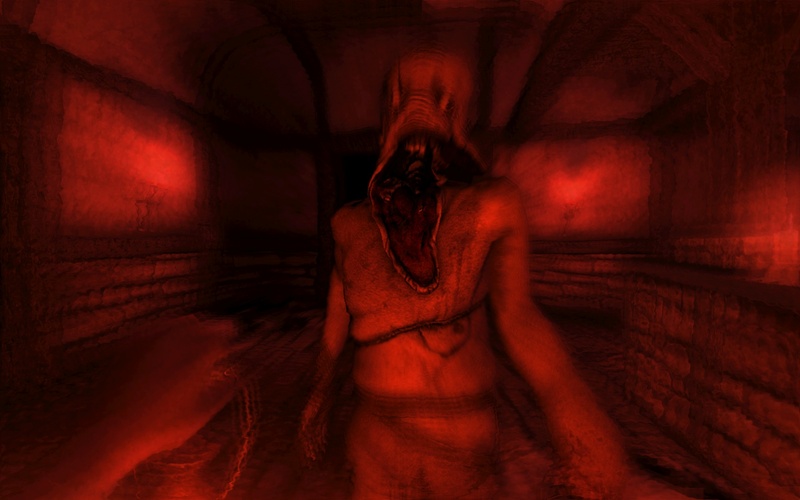 This could be zombies, insane patients in a hospital, mannequins that have come to life to kill you, Slenderman, and/or whatever the hell that thing is in Amnesia: The Dark Decent. These are just a few examples, but you get the point: Monsters need to instill some sort of fear to be worthy of their place in a survival horror game. Lastly, monsters shouldn’t be easy to kill. This comes in various forms within the genre. Some enemies are unkillable, some are but it takes a lot of ammo or strength, and others may be easy to kill but there is about 50 of them at one time and you just can’t handle that many. Regardless of how it’s done, one should never be able to breeze through onslaughts of enemies in a survival horror game like a hot knife through butter. If you can, it’s probably more of an action-horror than a survival horror game, and obviously not a good one. If you are scared, a game is just too spooky and you are having to change your pants constantly, why are you even playing it? Story. There is something in the story that is pushing you forward, a light at the end of of the tunnel maybe, the thought that you may be able to escape from Silent Hill and go home. There is some kind of hook that has keep you playing past the point where you would have otherwise put the controller down and turned the game off because the fear just isn’t worth it in the end. There are of course other reasons to keep playing, maybe you are playing it on a dare or you are the type that doesn’t like to leave games unfinished. Maybe you are like me and enjoy the feeling of being afraid while playing a game, the adrenaline rush when you are being chased by or are hiding from a horrible monster, the feeling of accomplishment when you escape and reach the next checkpoint. But all in all, it’s the story. If you have no reason to continue, there is no light at the end of the tunnel and no real reason to torment yourself any further because who gives a hoot at this point, then you quit – which I done once or twice, myself. Anyway, those are my thoughts on the subject. I may be picky or whatever but I have fun and that’s all that matters in the end. I hope this post was spooky enough for you Halloween fans, or at least in the spirit of the holiday (it pains me to call it that). I hope you all have a happy October! Let’s face it though, we all know the best two months of the year are up next. I’ll leave you with a question: What do you like or dislike about survival horror games?